Since finishing Jim Henson: The Biography, I keep finding myself thinking how sad it is that he died. The man died over twenty years ago, but this biography has sincerely caused me to mourn for this man for the first time in my life. This is quite significant – I was raised on Sesame Street and The Muppets. Kermit is one of my all-time favorite fictional characters (second only to Dr. Ian Malcolm, but it’s a close second). In spite of this fan worship, I knew very little about the man behind The Muppets; now I do. Jim Henson: The Biography does not have a very promising beginning. Jones goes all the way back to detailing the lives of Henson’s grandparents, and he desperately grasps for creative parallels. For instance, one time, Jim Henson’s maternal grandmother sewed a button on a green coat, and obviously young Jim was inspired by this gesture to craft a now idolized amphibian. Perhaps the attempted parallel is not quite that painful, but it is terrible, nonetheless. Such an unfortunate opening had me skeptical, but Jones finally gains control by the time the biography actually starts discussing Henson himself. Jim Henson is portrayed as the hard-working and dedicated man that the world has come to view him as. As a young man, Henson was obsessed with the idea of working in the (then) new medium of television. An opportunity arose in the puppetry field, and a teenaged Henson never looked back. The biography is not exactly shocking, but there are some surprising revelations. Henson cheated on his wife repeatedly – this was hard news to hear about a man who was long-ago sainted in my mind. Also, apparently there was this one time that his wife accidentally ran over one of their thirty kids with the car. This little tidbit is only casually mentioned, but the nonchalance of its revelation, paired with the breeziness of its resolution, is just plain bothersome. It vaguely felt as if Jones wanted to justify Henson’s ultimate infidelity by even addressing such a grisly transgression in the first place. A connection is never drawn between the two issues, it just seems like a strange bit of trivia that was maybe best left out. 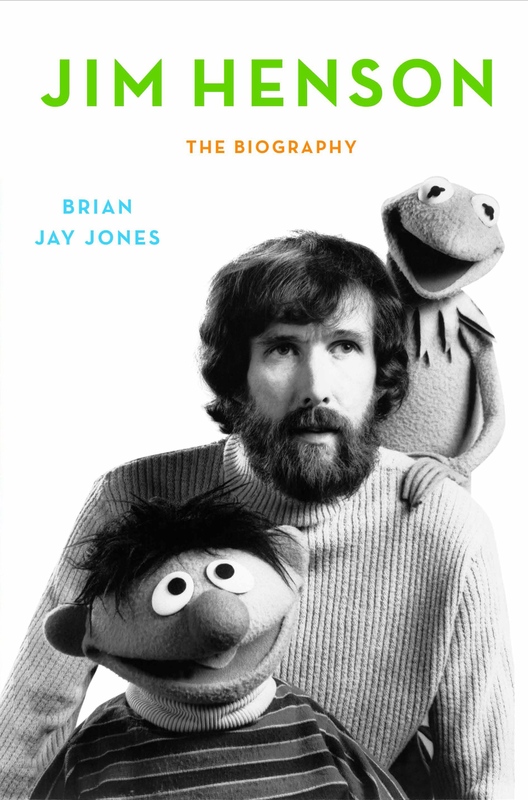 Jim Henson: The Biography is an informative and sentimental account of the life of an icon. Henson worked non-stop to revolutionize entertainment for children and adults alike. Television and movies could not exist as they are without Jim Henson. By all accounts, he was a sensitive and tortured soul, but his impact continues to be felt in past and future generations.